Sitan Gym had a clean sweep this past Friday, with both of our fighters taking home the win. 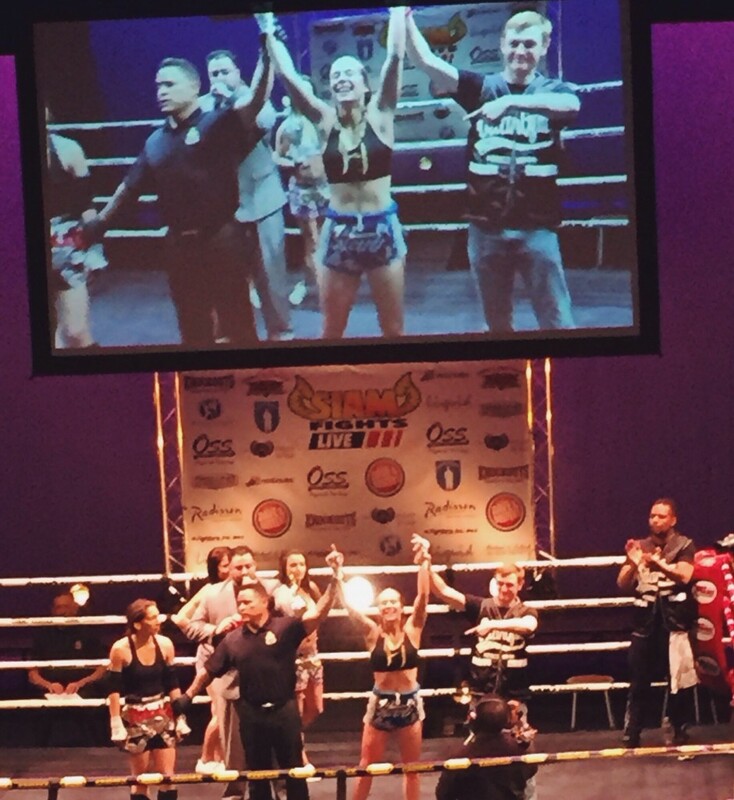 In the second bout of the night, Madelynn Geurkink won her fight against Jasmine Romero by unanimous decision. This was Maddy’s second fight (and her second victory)! Later on, Rene Leon ended his bout with Bobby Wilson by a signature high kick to the head. Rene won by KO in what was certainly one of the crowd favorite bouts of the evening. Congratulations to our two fighters! A big THANK YOU goes out to the volunteers, as well. Thank you all for making this one of the smoothest Siam shows so far. We’ll see you in April for the US Muay Thai Open!